The team can deliver a variety of packages within your primary school to suit your needs. We work with Reception right through to Year 6. We can offer curriculum blocks, before school clubs, after school clubs, lunchtime clubs or one-off taster sessions. 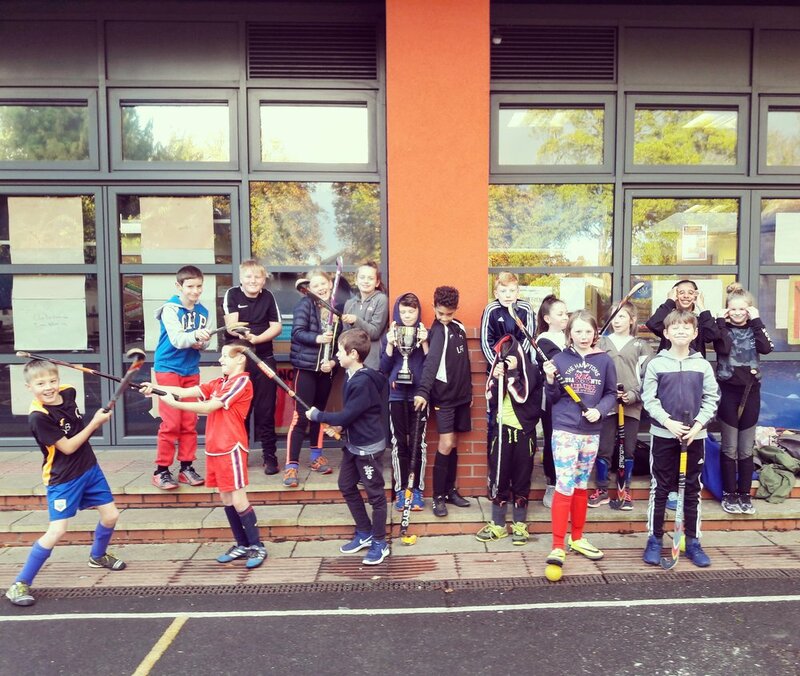 Read on to find out more about the Quicksticks programme and hear from schools we have worked with. "Upon visiting a hockey session at St Peter & St Paul's Primary School, Mawdesley; all children were laughing and smiling and enjoyed the session. Josie is really enthusiastic in her approach and is hugely knowledgeable of the sport. Josie moved around the space to ensure contact was made with everyone. She had made a great attempt to learn children’s names (and the teacher’s!) in just 2 sessions". The Quicksticks Curriculum Resource and Challenge Cards have been designed for use with primary age children at Key Stage 2. The Resource uses these Challenge Cards to bring a variety of linked activities to children and follows the Key Stage 2 curriculum content. The curriculum resource includes Units of Work for years 3, 4, 5 and 6. Each of the Units of Work have been designed so they can be taught to a class of children over a period of 6 weeks. The framework is inclusive and provides a fun and flexible approach to high quality competition for girls and boys, whatever their ability. Keeps children fit and healthy, helping to prevent obesity, strengthening muscles and developing healthy hearts. Is easily adapted and helps develop essential motor skills, team spirit, social interaction and fair play. Increase participation levels. More opportunities will be created to engage young people in a wider variety of school hockey competition. Clear pathways are outlined that will allow the child to progress within hockey should they choose to.